Clear Connection Chiropractic has been providing family wellness care to local patients since 2009. 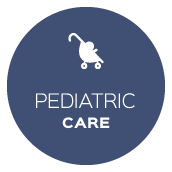 Our doctors practice a variety of chiropractic techniques including Gonstead and Webster and specializes in pediatric and pregnancy chiropractic. Ideal Protein weight loss is offered. At Clear Connection Chiropractic, we’re passionate about helping every patient experience the best possible health that comes with a properly functioning nervous system. Menomonie Chiropractors Dr. Chad Barfknecht and Dr. Angie Schroyer take care of families, children and moms-to-be so they can live their best life. They intently listen to patients’ concerns and tell them what they need, not what they want to hear. You’ll feel like a member of the family at our practice. Our fun, lighthearted, yet always professional, environment will put you completely at ease as you begin your healing journey. We will walk you through your adjustment before we start so you’ll know what to expect. Given how frequently C-sections are performed and forceps and vacuum extractions used during the birthing process, kids are subluxated from the time they’re born. Because the birth process can be highly traumatic, it’s important for children to get checked as soon as possible after birth. When children are under pediatric chiropractic care from an early age, they have a better opportunity to grow up to be healthy adults. 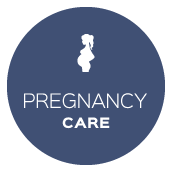 Pregnancy chiropractic care is not only safe, but it can help make your pregnancy more pleasant. Regular adjustments can help you with pregnancy-related aches and pains. Dr. Chad also can use the Webster Technique to help ensure that your baby is in the proper position for birth. If your stubborn scale refuses to budge, we want to help. We offer the Ideal Protein weight loss program, allowing you to lose 20, 30, 40 or more pounds, depending on your goals. Tina, one of our team members, oversees the program. She’ll walk with you through the entire four-phase program. You’ll learn about carbs, proteins and fats, and how they work. She will discuss how you store and burn fat. As part of the program, you’ll come in on a weekly basis for 15-20-minute check-ins with her. We’d like to help you and your family revitalize your health naturally. Contact us today to schedule an appointment! Dr. Chad has absolutely changed the quality of my husband’s life (veteran) and has been adjusting our daughter since the day she was born. I cannot imagine what life would be like without his expertise, knowledge and mad adjusting skills! 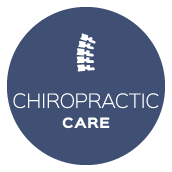 Best chiropractic service!!! 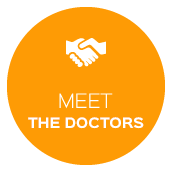 Dr. Chad is very knowledgeable, kind and understanding. Very easy to work with. Clear Connection is a lifesaver for our family! Dr. Chad is great with kids! These adjustments were a life saver during my last pregnancy and whenever I train for races! Dr. Chad is AMAZING with children! Our whole family has seen many benefits from his care and my kids love him… I highly recommend Clear Connection to anyone in the Menomonie area. Love our visits to Dr. Chad. The bigger question is what have they not done! My whole family always feels better after a visit! Dr. Chad is great and a wealth of knowledge, thank you for all you do! I’ve been bringing my son here since he was only weeks old. We have been very happy and would recommend them to anyone. Dr. Chad is terrific. He truly makes me feel better!! I definitely recommend him! Thanks to Dr. Chad and the team for always working with my busy schedule and keeping me mobile! I am so lucky to have Dr. Chad as my chiropractor! He has educated me on so many important things regarding my health that I can’t imagine my healthcare routine without him in it. Thank you, Dr. Chad!